On January 27th, 1973 representatives of the United States, South Vietnam and North Vietnam signed an agreement to end the Vietnam war. President Nixon had announced the agreement to the American people on January 24th. Negotiations had lasted four years and nine months. 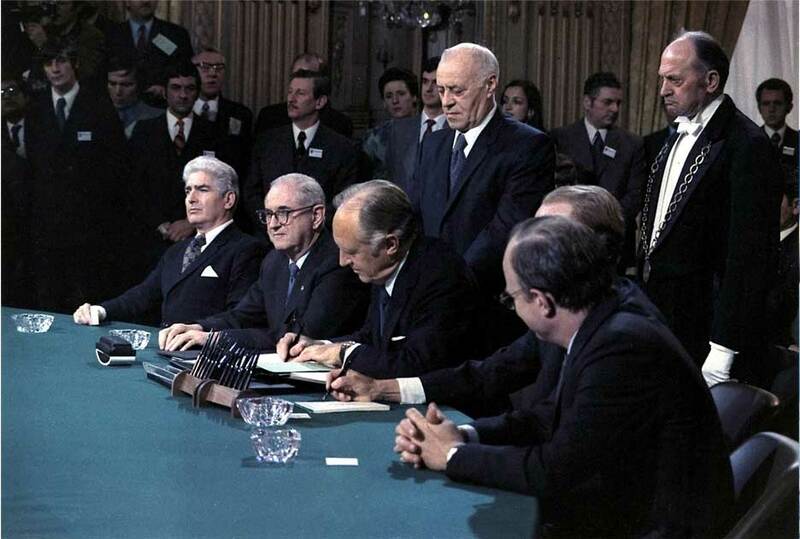 The agreement was in fact and end of US involvement in the war. It called for a ceasefire and eventual peaceful reunification of Vietnam. The agreement had two key flaws first it allowed troops to remain in place, which meant that North Vietnamese troops could remain in South Vietnam. Second it relied on the US promise to take action if the North Vietnamese violated the agreement.